Imagine your princess on one of her most memorable moments in life...her first communion and you don't have any shoes, veils, crowns, socks, pantyhose, in short no accessories at all! What happens then? Her entire occasion would be completely ruined! So at Blush Kids, we made sure that your child would not be disappointed on her special day. So, please browse through our girls beautiful accessories section where you would find every accessory you can ever think of that will match and complete your child's out and make her look extra special on her day. We offer the most beautiful coordinating flower girl accessories such as flower girl jackets, boleros, cardigans, dress shoes, hair accessories, necklaces, bracelets and lots more! Our flower girl necklaces and other flower girl jewelry is an absolute “must have” for that beautiful finish to your wedding party. Always remember that your flower girl apart from the bride of course will be the center of everyone’s attention in a wedding.This section offers you a wide choice of accessories from top designers, each piece portraying the love and care put into the making. 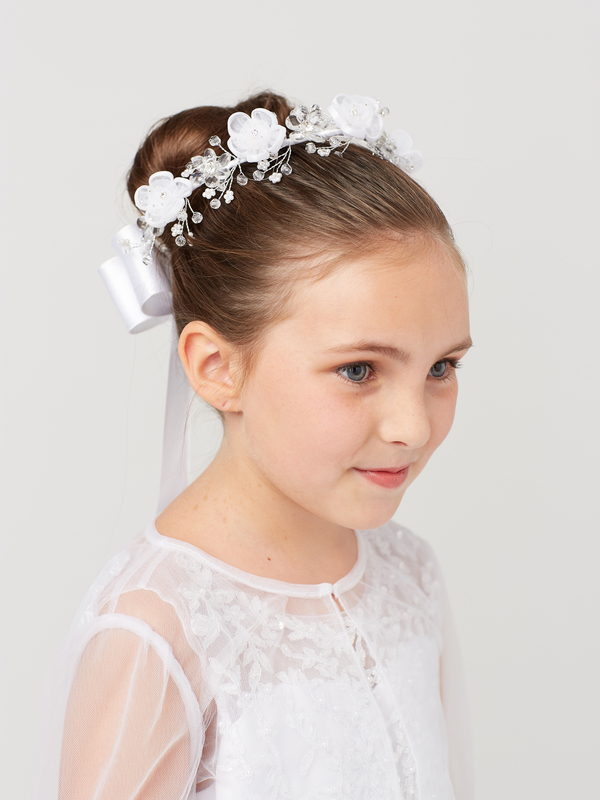 Our girls accessories are a perfect compliment for any of our flower girl dresses, communion dresses and girls dresses! PLEASE NOTE: We strongly suggest that you call or email us first before attempting to place any orders for any type of our girls accessories as our inventory moves pretty fast and may not be updated at the time you may place your order.